Get creative with Alexis and reach your goal in delivering a clear and concise image the that matches your brand. Learn more about Alexis' services, today. Alexis' services include website design, website development, eCommerce structuring, creative content and consulting, photography, social media planning, and personal styling. And with her boutiques, Lex & Lynne and Lex & Lynne Bridal, Alexis is available for styling sessions in her various locations and beyond. 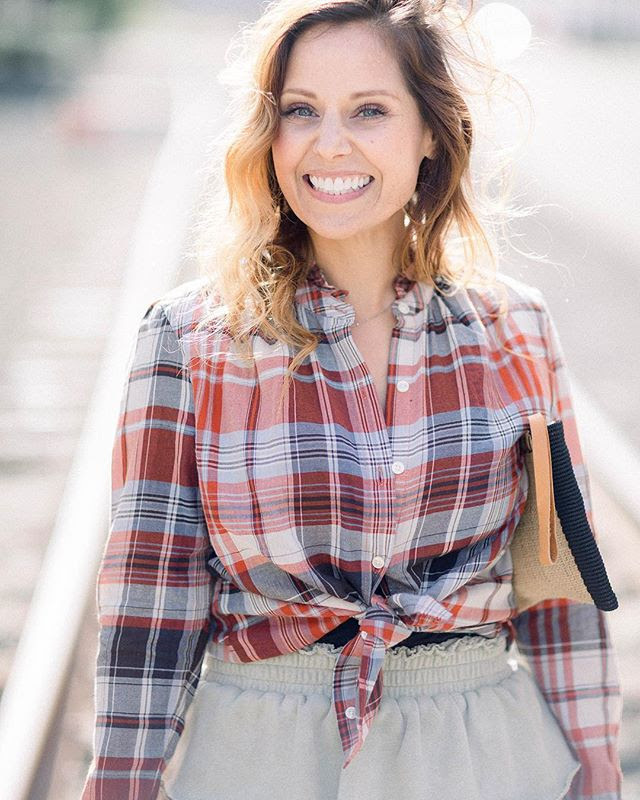 Styling for events, season to season, the staples, bridal parties, packing lists, the list goes on and on; and when you become a styling client with Alexis, she will provide you with a virtual tour of your closet to conceptualize your look, always. As established micro-influencers, Alexis Corry and her husband Zachary Kappel have collaborated with many photographers, videographers, hotels, restaurants, brands, and the like. Baur au Lac, Mandarin Oriental Hotels, The Merrion Hotel, Omni Hotels and Resorts, Georgia Boot Co., Andie Swim, Glitty, to name a few. On March 7th 2019, Lex & Lynne Bridal hosted a whimsical exhibit of their exclusive bridal line at Slate Studios in Pittsburgh's Strip District. The gallery included ten bespoke heirloom gowns and one-of-a-kind accessories. Alexis and Christina teamed up with a variety of local vendors to make the event the best Pittsburgh has seen yet, and as inspiration and representation of today's modern bride. Inspired by their love of travel, Alexis and her hubby Zachary created their world travel blog, Lex & Zach, documenting their adventures and findings from around the globe. Launched in the summer of 2017 following their wedding in Tuscany, Alexis and Zach are now opening up their explorations across the globe with you. Travel tips, references, itineraries and updated guides; amazing accommodation, secrets and surprises, make Lex & Zach's blog your go-to for the best modern-day travel. While Lex & Zach explore rich, long, and varied histories, join them on their journey as they strive to explore and roam this beautiful world. Alexis continues to grow her brand, Lex & Lynne, with her jewelry, clothing, handbag, and shoe designs that are all hand-crafted and composed of authentic and natural materials like cotton, leathers, gemstones, burlap, and wood. Drawing inspiration from a minimalist-attitude and the organic nature of how her products are made, Alexis continues to expand her collection every year. All of her designs are sketched or created in her studios located in Pittsburgh, PA, New York City, and Vero Beach, FL, and are ethically made from all over the globe. Sweaters and bags handmade in Mexico, leather sandals handmade in Italy; and her jewelry line, which Alexis creates by hand herself. Alexis prides herself on small-batch styles that are "season-less" and transitional, taking you from location to location, season to season. And as an avid traveler herself, Alexis swears by the collection as a wardrobe-staple. Most recent of projects, Alexis Corry has launched her luxury oceanfront villa; city and lifestyle guide: @verobeachstateofmind. Picture perfect Vero Beach, Florida, you’ll immediately relax an unwind any time you have a glimpse at @verobeachstateofmind! An Instagram account where you’ll find all things local, get ready to fall in love with this small beach town and take in the island-life! Shop. See. Sip. Snack. Stay. @verobeachstateofmind is part of the @localsateofmind city guide series. follow @localstateofmind and discover all of our city guides. Lex & Lynne was built on the foundation of a few organic materials and a passion to wear life's experiences close to the heart. Founded in 2011, L&L has skyrocketed into a unique shopping experience focused on womenswear and accessories, in-store at their flagship location in Sewickley, PA's landmark Flatiron building, and online. Each season, Alexis carefully curates the Lex & Lynne collection mixing styles and trends that complement the fast-paced, ambitious and exploratory lifestyle of the L&L woman. Her focus on attention to detail with timeless silhouettes and styles sets her collection apart from the rest. Step in to Lex & Lynne and discover a sense of harmony and ease with a collection that is unique, but relatable. At Lex & Lynne, the philosophy is simple: LIFE IS GROWTH, EXPERIENCE NOMAD-CHIC. Inspired by the details and imagination put into planning her own wedding in Tuscany, Alexis launched her bridal, resort, and occasion wear collection in the Summer of 2017. Complete with bespoke gowns, heirloom accessories, and where every dress is unique, Alexis has created a collection that is an exciting departure from the expected. Dresses and pieces that are unforgettable, her bridal collection truly emulates the beauty of a woman awaiting her magical day. At Lex & Lynne Bridal, Alexis offers one-on-one styling and consulting that goes beyond saying 'yes' to the dress. Lex and her team take pride in styling whatever you wish - whether it be a quick getaway, your honeymoon, engagement photos, registry, or wedding day details - the taste and quality of each item is incomparable. Whether it be your bridal party, a packing list, photo shoot, or simply personal, Alexis is confident that she can provide you with an exceptional styling experience fulfilling your every need. Collaborating and styling Instagram-influencers like Kennedy Dawn, Kelsey Breisinger, Jessa Gibboney, Kathryn Richardson, dancers Paige Elias and Anna Schatzel, Maniac Magazine owners and clientele, blogger Christina Caradona of Trop Rouge, Madisyn Fecko of Who is Madisyn, a number of brides, and photographer Merritt Lee's clients to name a few. Assistant to stylist Liz McClean in New York City led Alexis to her dream of merchandising and styling, a role that came naturally. Working with designers such as Maria Korovilas, Rebecca Taylor, and Stuart Weitzman has given her an edge to innovative styling, combining the classics with the trends. Alexis Corry has teamed up with fellow creative Hannah Lewis to launch a series of city guides filled with the best spots to shop, see, sip, snack, and stay! “Sewickley State of Mind” is the complete guide to Steel City, exploring all things local and the small town charm of Sewickley. Multiple city guides are in the works. Stay tuned! Hannah & Lex invite you to follow their city guides for the best kept secrets and spots of their favorites cities. Shop. See. Sip. Snack. Stay. @sewickleystateofmind is part of the @localsateofmind city guide series. follow @localstateofmind and discover all of our city guides. Comfort meets grit with Mick + Kip's care-free attitude and style, where their curated menswear, travel, and home collection has a minimalist aesthetic with attention to detail. Alexis launched Mick + Kip in the Fall of 2014 inspired by her Pittsburgh origins, Florida beach-life, New York City hustle, rustic Vermont roots, and passion to travel the world; all of which attribute to the lifestyle brand that is Mick + Kip. Mick + Kip is a seasonal pop-up in Sewickley, PA that is open yearly from November 15th through December 30th. Blogger babe, bridal party, packing lists, or simply seeking a cohesive wardrobe with looks that are effortless and easy, work one-on-one with Alexis, today and view more of her styling projects, here. Want to work with Alexis and learn more about her services and what she can do for you, your brand, or your wardrobe? Contact Alexis today!